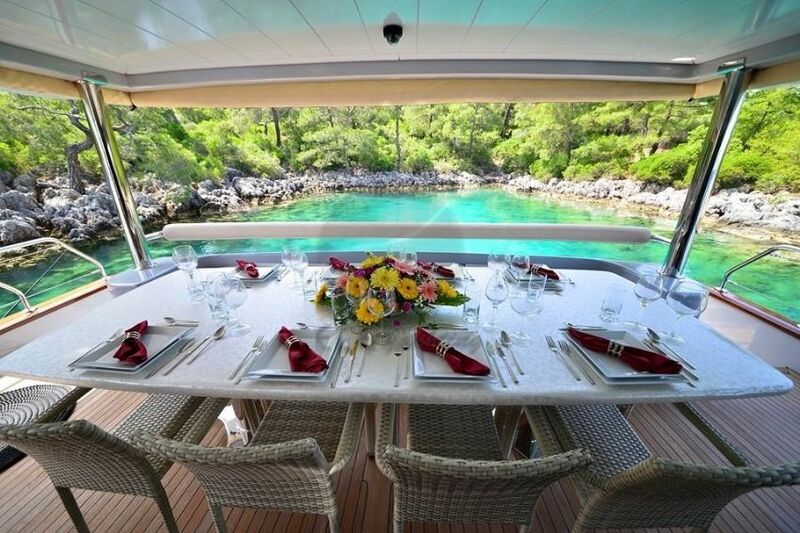 Our ultra luxury Yacht in Fethiye, which was launched in 2015, has been manufactured in our shipyard. 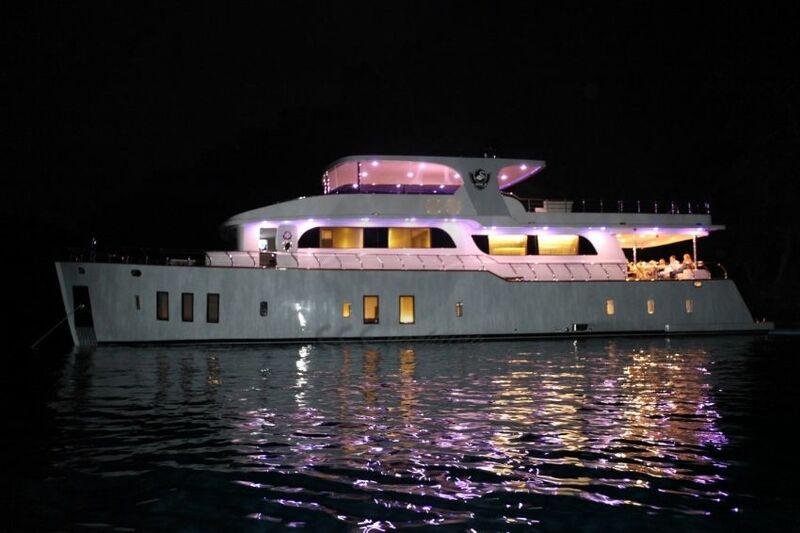 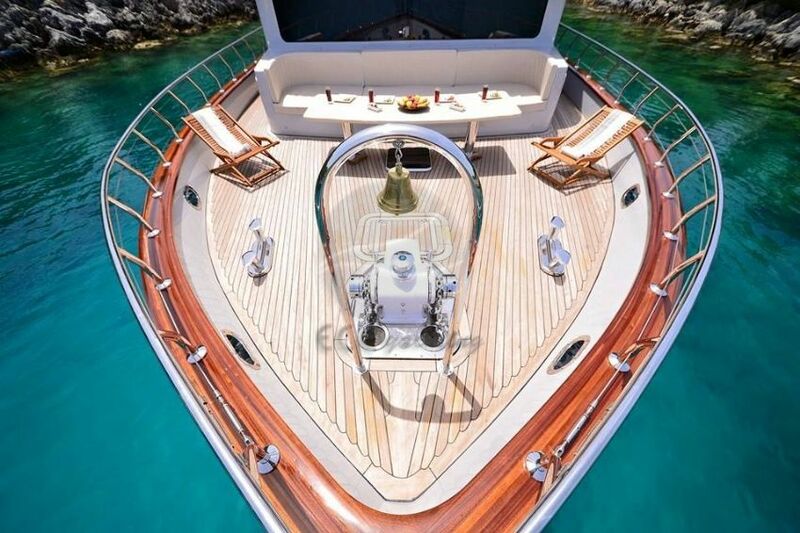 Our yacht is designed in accordance with the desired wishes of our valued guests, which have had experience over the years. 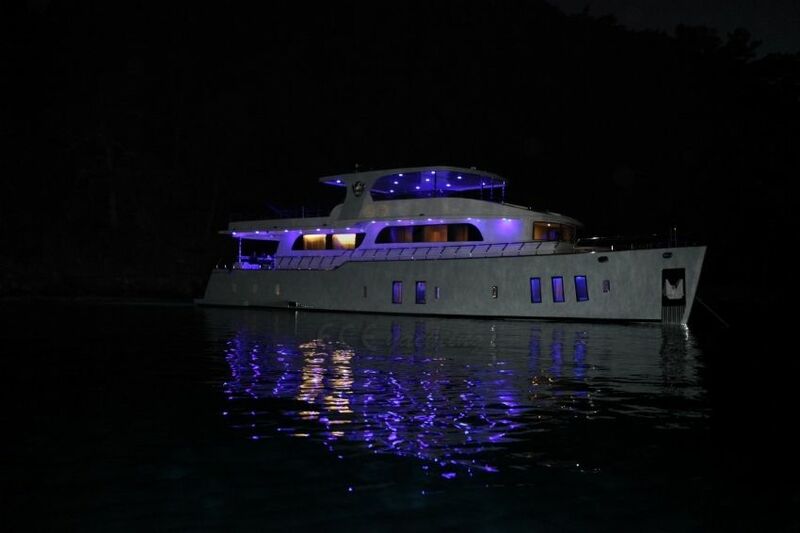 Consisting of 4 main cabins all details expected in the comfort of the Blue Cruise are available on our Simay F-named yacht. 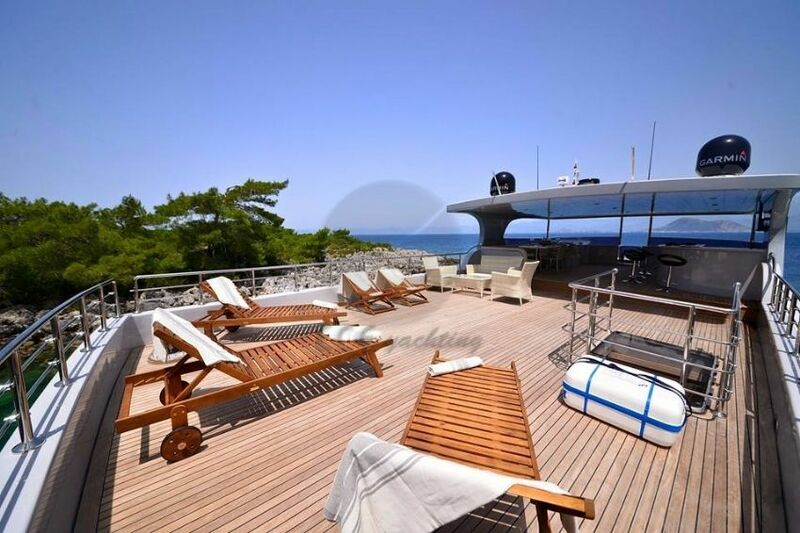 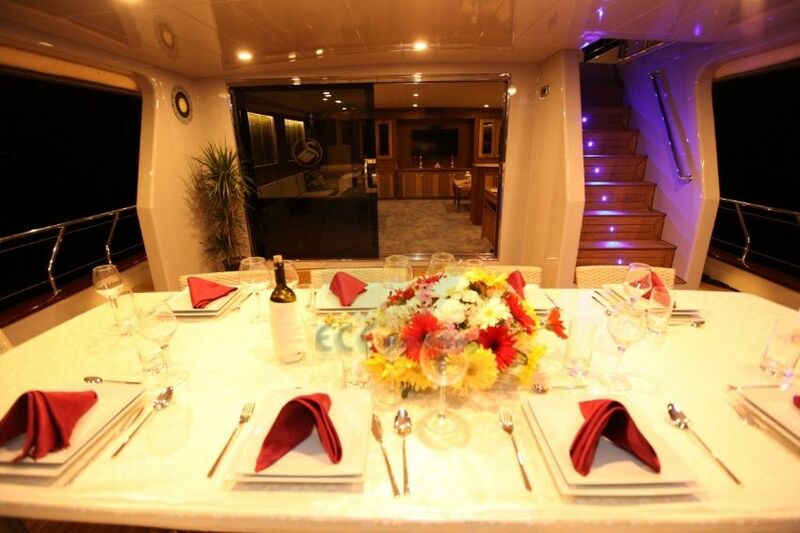 On our ultra luxury vessel, we have a very stylish bar on the upper deck called the flybridge, this area has a seating place where you can relax with sun loungers and on the front of the main deck there is a seating area where you can enjoy your cruise and a main dining table on the back deck. 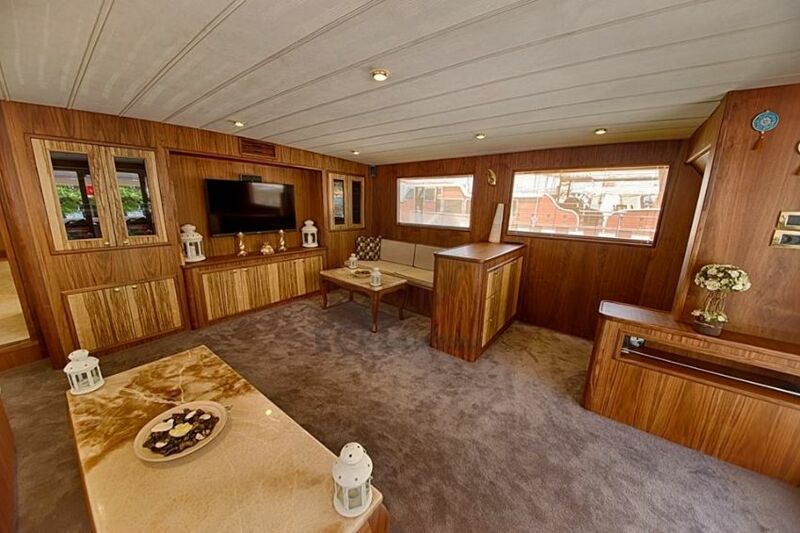 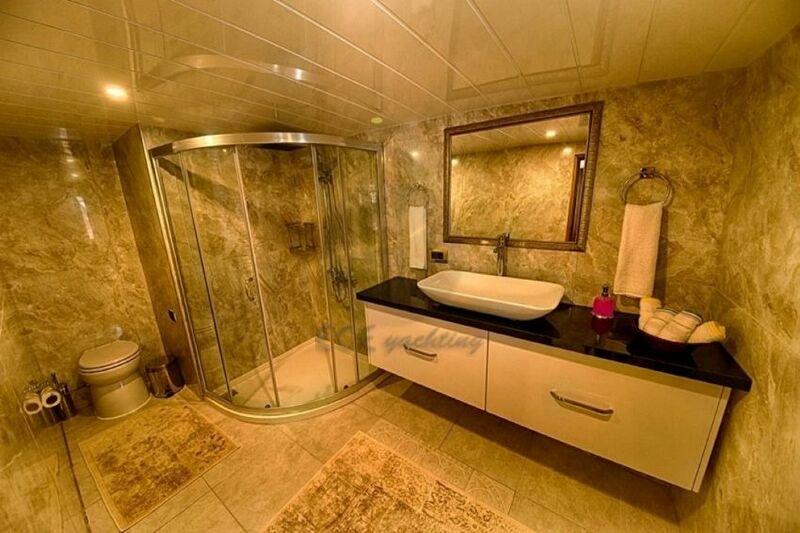 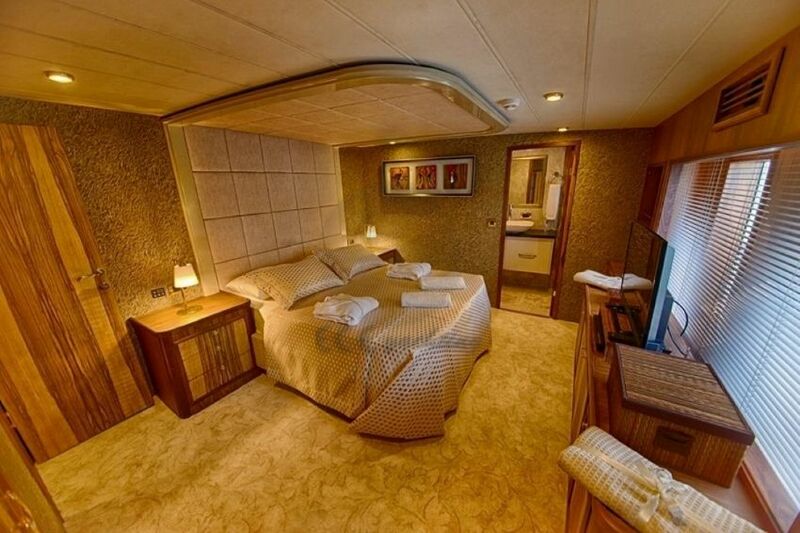 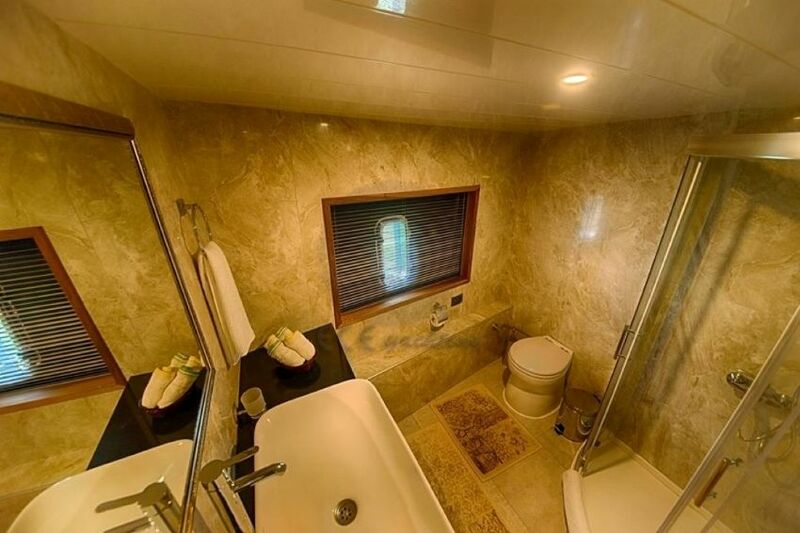 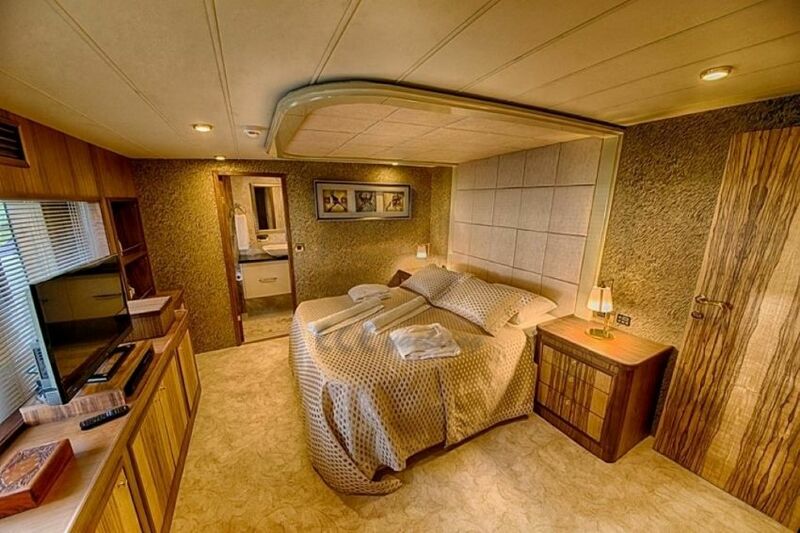 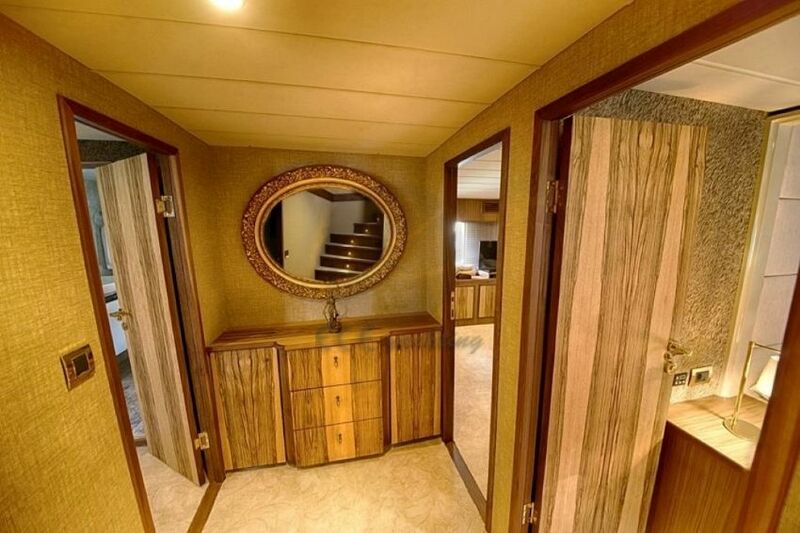 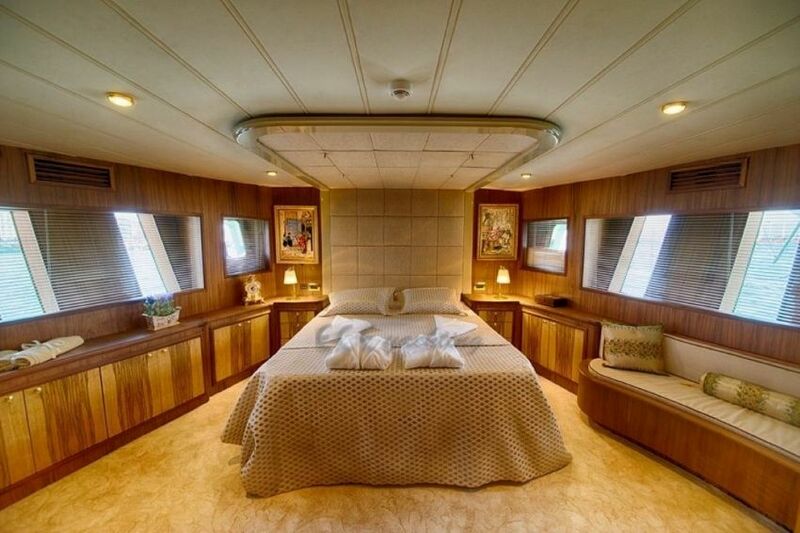 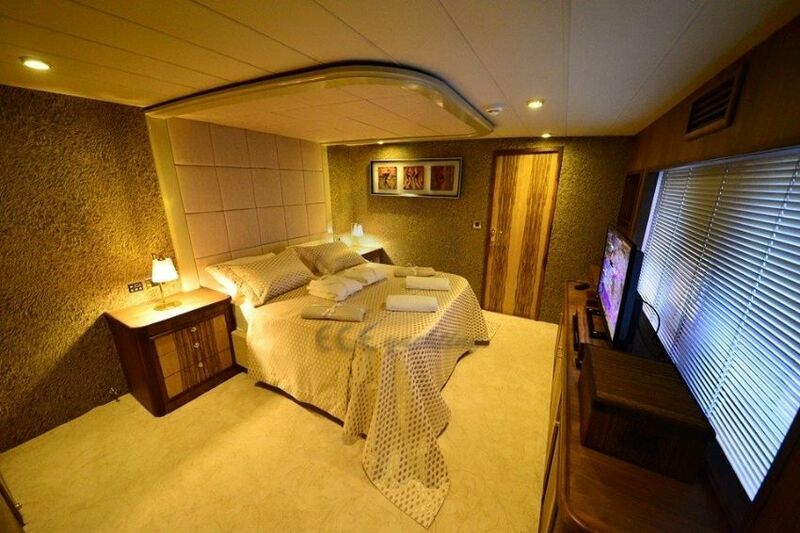 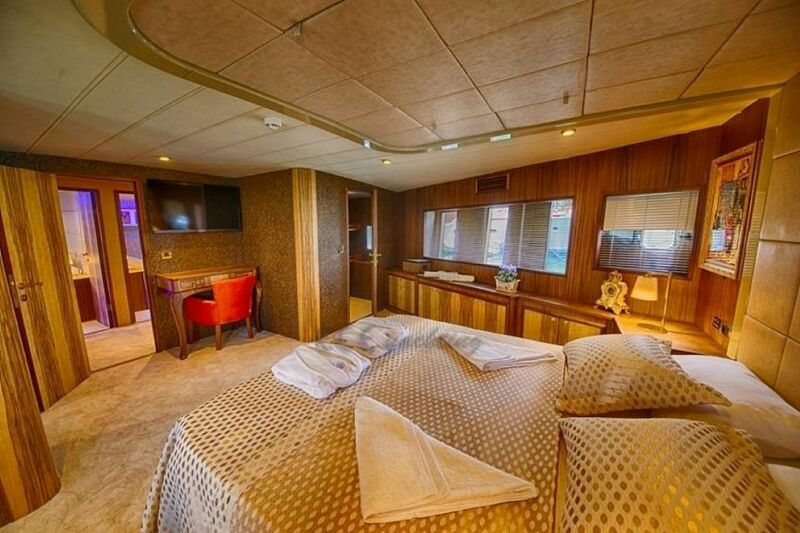 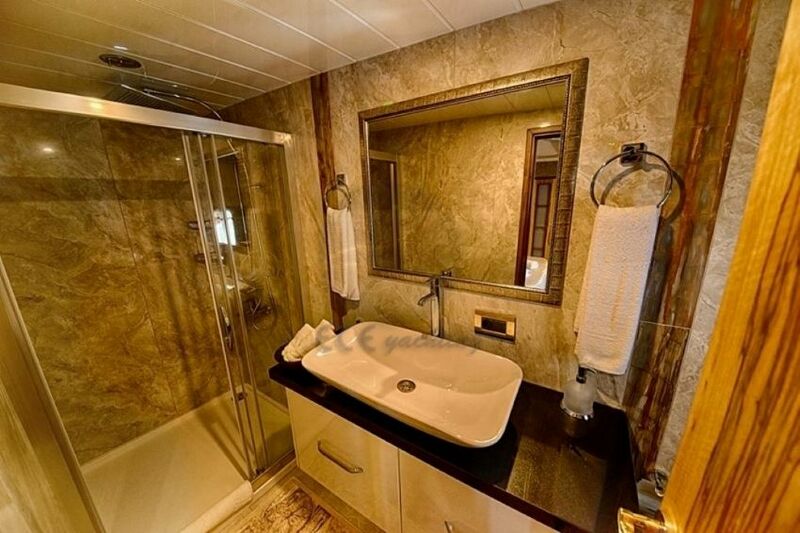 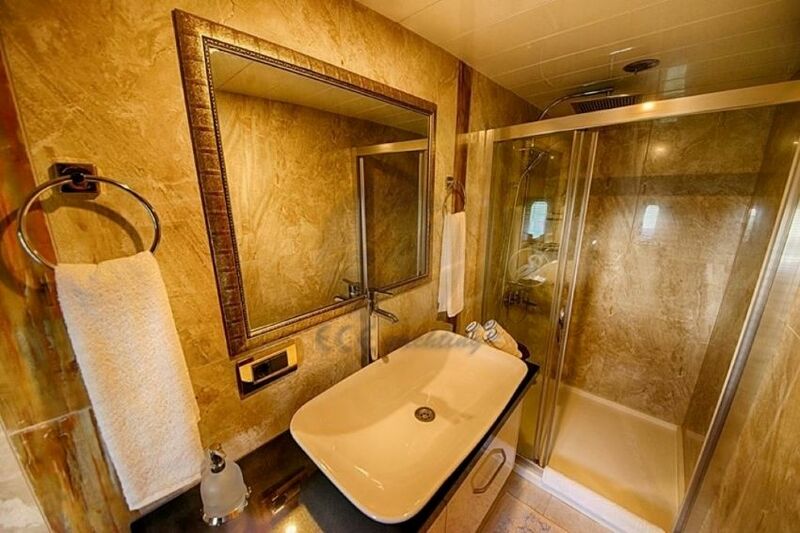 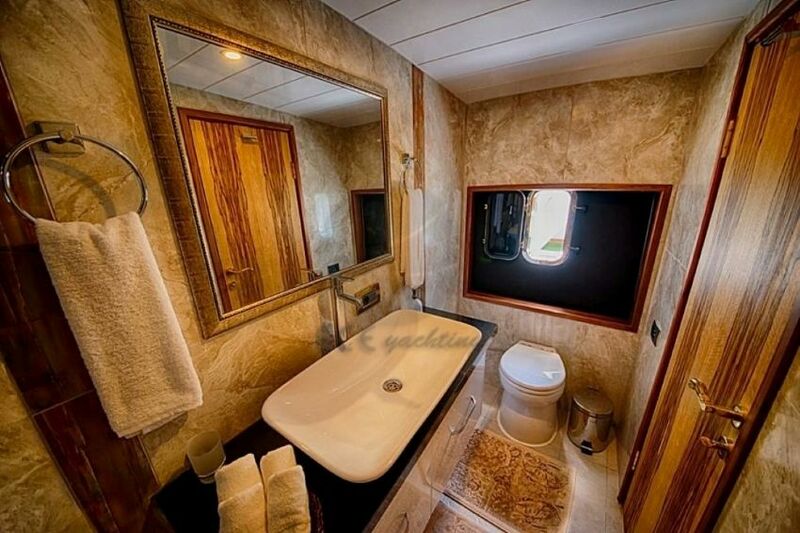 On the main deck there's the hall and 1 master cabin, 1 master and 2 VIP double cabins on the lower deck, 3 were built with all details in mind including the dressing room. 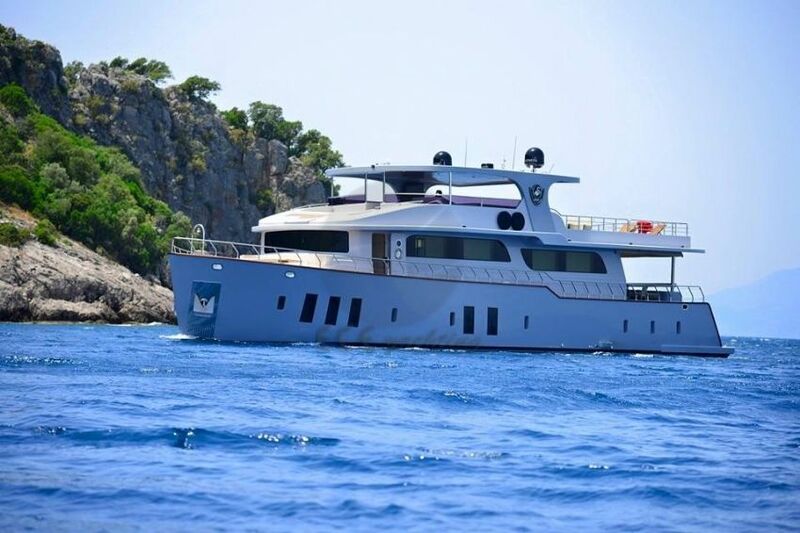 The blue tour with full navigation equipment is available in Turkish and Greek waters. 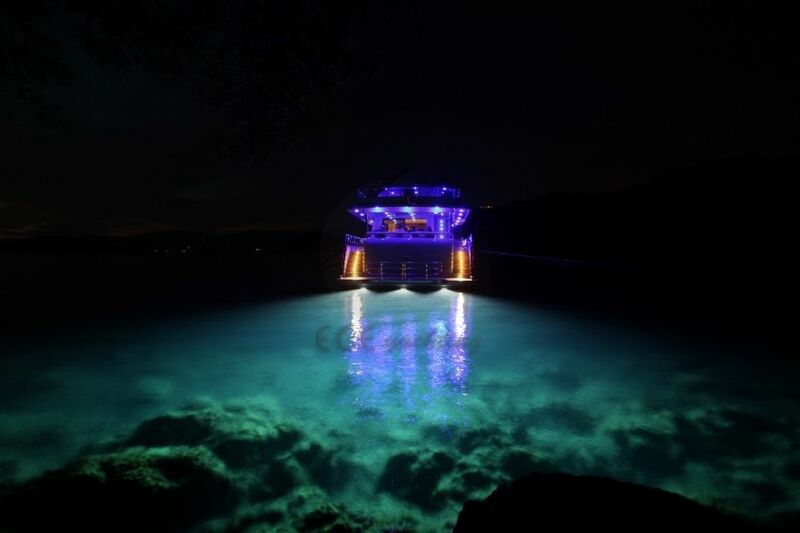 Simay F.
220 V, 24 V. 12 V.
Ice machine, CD & DVD Player, Coffee machine, Wine cooler,, Hair dryer, Safe-box in all cabins. 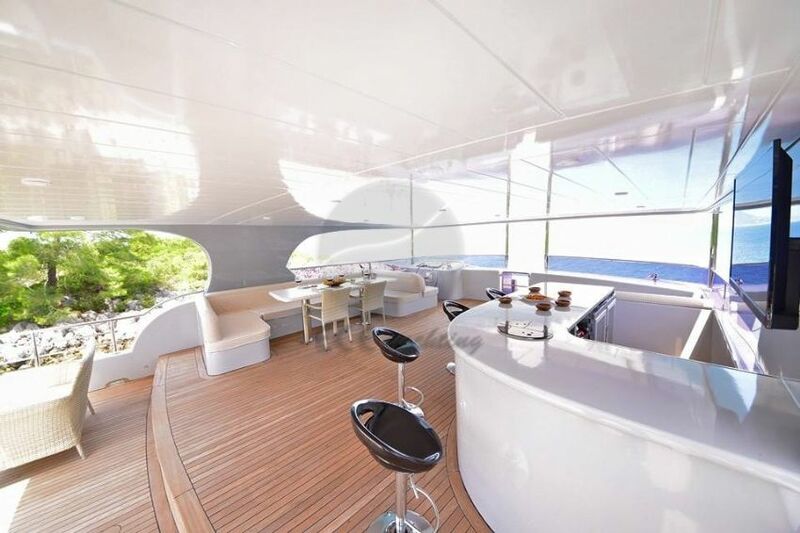 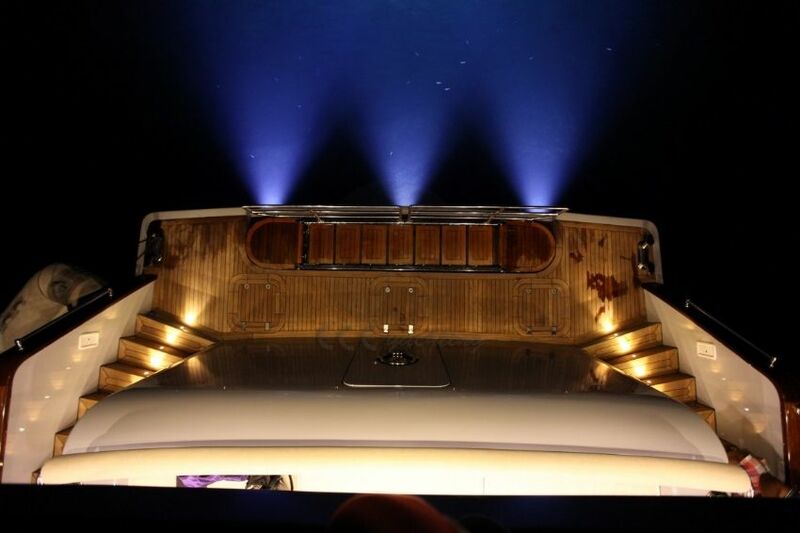 Can you give detailed information for SIMAY F Yacht.